Sophomore Paige Beebe scored twice and sophomore Clair DeGeorge scored the game-winning goal and posted an assist to lead the Bemidji State University women’s hockey team to a 5-2 victory over Minnesota State University, Mankato Friday night. The Beavers (9-15-1, 6-8-1-0 WCHA) earned three points in the Western Collegiate Hockey Association standings to hold fifth place and trail University of Minnesota Duluth by six points. Redshirt sophomore Lauren Bench stopped 25-of-27 shots by the Mavericks (9-12-4, 3-11-2-1 WCHA) while Abby Halluska and Graysen Myers posted the other goals for the Beavers. 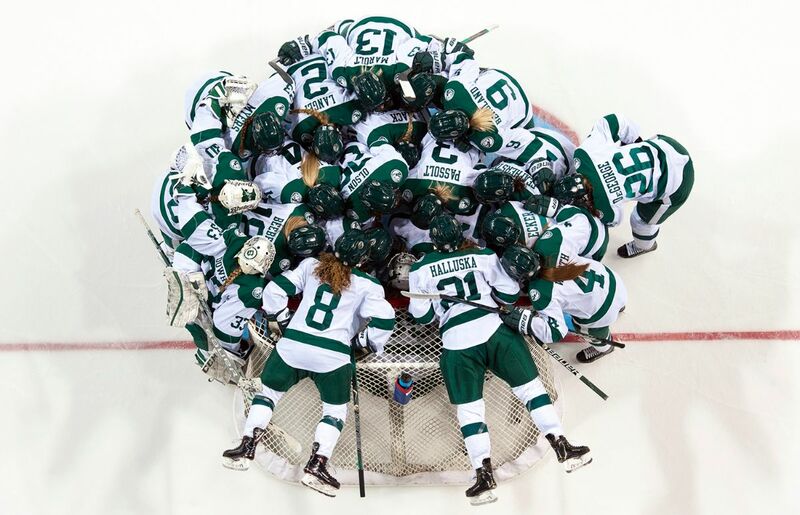 Bemidji State and Minnesota State will play the series final today from Verizon Center with puck drop scheduled for 3:07 p.m.
Go Beavers! Wish we could be there! Good luck Abby Halluska #21 and Beaver Ladies! Aunt Jennie and uncle Mark listening in Mayer, MN. Ohio finally here, just returned home. Looks like a good game, evenly matched. Watch the women last Saturday play on hockey day. Was good to see the coach played all three goalies, so they can say they were part of the day. Looking forward to seeing the women in couple weeks in Columbus. Mention plan on a tailgate party on Saturday in the parking lot. Will contact you about which day is good for you for lunch. Lets go ladies and get that goal back which I just listened to they did, now for the winner. I went to high school and now college with Abby ecker. Will always listen to their games if I’m not at them. Okay ladies, the time is NOW! !